“-Sun, beach and my dentist in Fuengirola. Can it be better?" 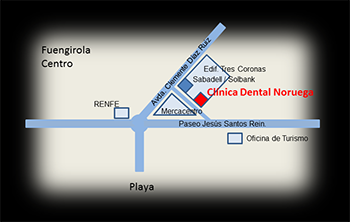 Clínica Dental Noruega is situated in the centre of Fuengirola on the Spanish south cost, Costa del Sol. We have offered modern dental treatment since 2002. 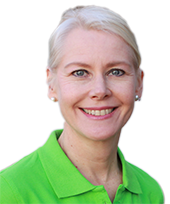 Catharina Hvid-Hansen, qualified dentist owns and manages the clinic that counts with general practicing dentists, specialist in implants, specialist in orthodontic and dentistry assistants. We have a lot of expat patients but also Spanish patients that appreciate the possibility to get an appointment at our dental clinic on short notice. It happens that the patients calls in the morning and get an appointment for treatment the same day! Dental Care – Dental Treatment. We perform all sort of dental care treatment at Clínica Dental Noruega, such as general check-up, fillings, crowns, bridges, pediatric dentistry, orthodontics, implants and cosmetic dentistry. 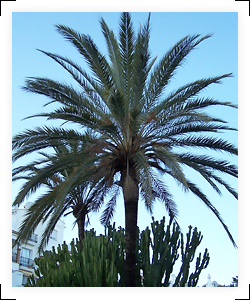 Easy to find our dental clinic in sunny Fuengirola. Three minutes away from the train station. Three hours flight from London. The clinic is situated in the “Tres Coronas” building in Fuengirola. 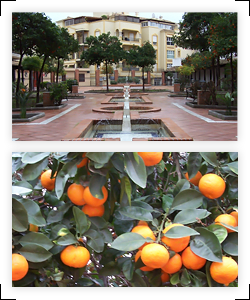 We are on the ground floor surrounded by orange trees in a typical Spanish patio. We have easy and direct access even for you who come in wheelchair. It is just to roll in to the clinic. When you arrive to the train station in Fuengirola (Renfe), you are only three minutes walk from the clinic. If you arrive by car, then there is a parking garage in the building. From left to right: Elsa, Päivi, Catharina, Jessica and Sofia. Lower prices than north Europe. In average we are less expensive than the North European countries. Call us for a price estimate on any treatment. 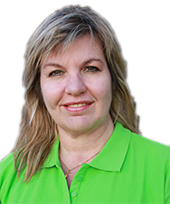 You will almost certainly be surprised on how competitive our prices are without being a low-budget clinic. Click here for a mobile adapted page! 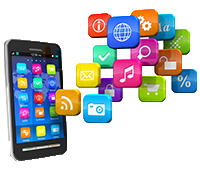 You will come to our new mobile-adapted webpage that is easier to read on mobile phones and tablets. We speak English, Spanish and the Scandinavian languages. Call or mail today and you will get an appointment or more information.